July 16, 2015—Your refrigerator and home heating system can be linked to the “Internet of Things,” so why not a ship? 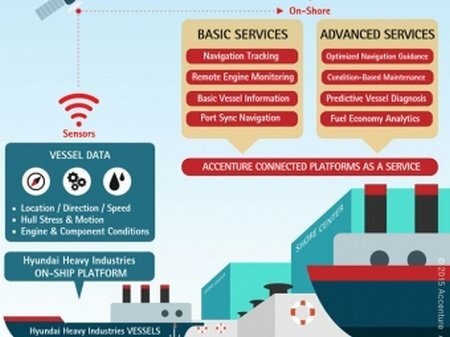 South Korean shipbuilding giant Hyundai Heavy Industries, and global management consulting, technology services and outsourcing company Accenture are collaborating to design a “connected smart ship” that will enable ship owners to better manage their fleets and achieve potential operational savings through the application of digital technologies. The investigation identified that Vectis Eagle was unnecessarily close to the breakwater and that the turn was started too early. National Security Cutters, the flagships of the Coast Guard’s cutter fleet, are designed to replace the 378-foot Hamilton-class high-endurance cutters, which entered service during the 1960s. New regulations on the carriage of biofuels could limit the trading flexibility of product tankers from next January.